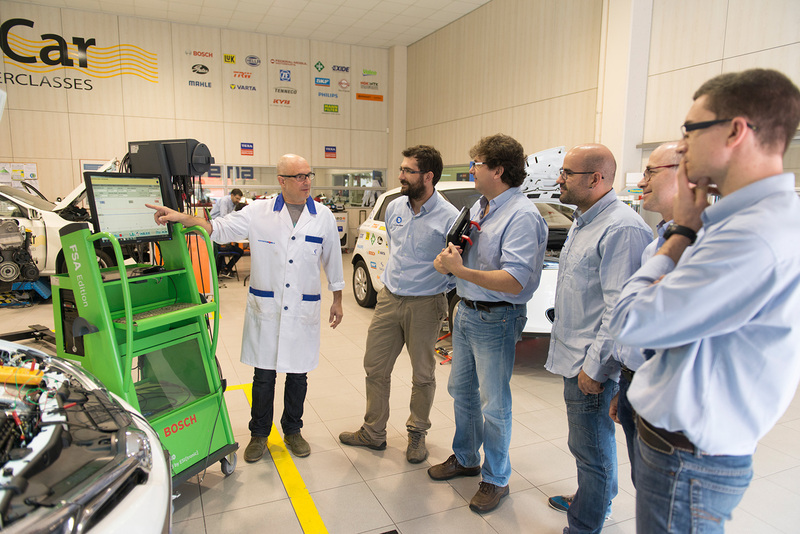 In the education field there are also needs for teachers to learn about the latest car technologies, new tools and workshop machinery. For this reason, since 2005 Grup Eina Digital has been providing technical training courses for professional institutes through the Ministry of Education and Culture of Spain, and through its various regional councils. Our trainers have extensive experience in both the repair and educational sectors. In addition, the team counts on the coverage and advice of our call centre technicians who provide them with suggestions, reports and usual failures for the type of vehicle or system studied. We offer any course from our training portfolio, and we can also offer custom-made courses. We can adapt the course content and duration according to the training needs issued by the customer. Do you want information about these courses?